Wire management is something every tech savvy office needs. Rather than having cords running along the floor and down the side of your furniture, cut outs in desks and bookcases allow you to conceal cords and other unwanted items from sight for a clean look. Furnish your room with this contemporary entertainment center that's made to fit your needs. Featuring adjustable shelving to fit a variety of media equipment, the built-in openings make it simple to tidy the cords of your devices. Keep all your accessories and curios close with the extra storage space this entertainment system offers. 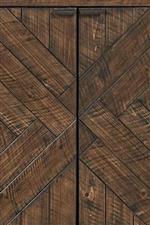 The warm pine wood crosshatch pattern catches the eye with its subtle design and makes a great accent to any room. The Shadow Lake Contemporary Entertainment Center with Adjustable Shelves by Liberty Furniture at Royal Furniture in the Memphis, Nashville, Jackson, Birmingham area. Product availability may vary. Contact us for the most current availability on this product. 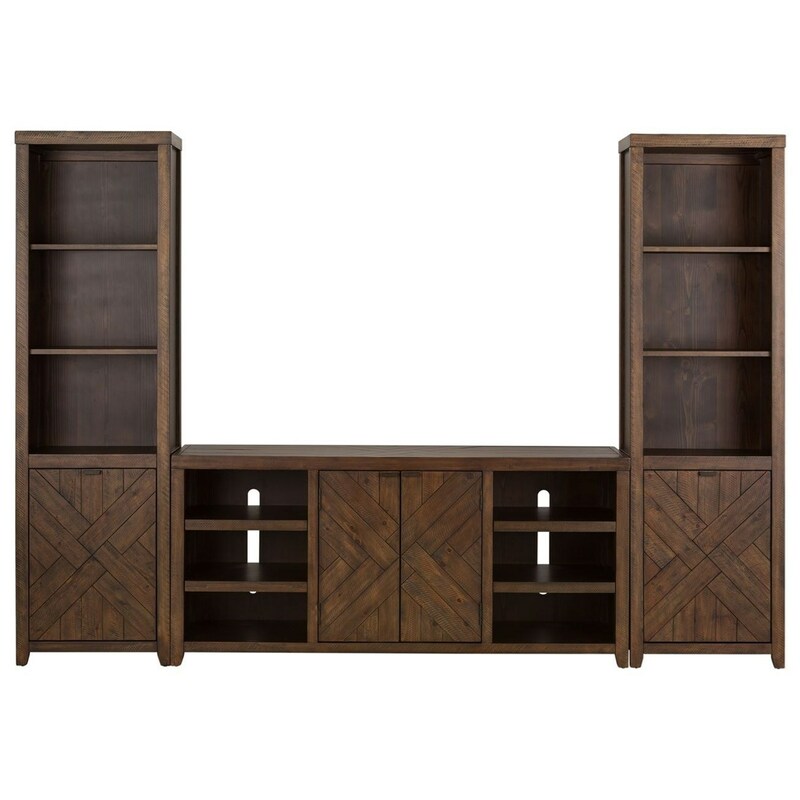 In a contemporary style sporting weathered pine wood crosshatches, this entertainment system is sure to spruce up your room. With ample storage and adjustable shelving to meet your media center needs, it allows you to keep your curios and collectibles accessible and organized. 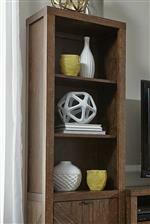 The two bookcases act as a simple open border around your favorite TV, cultivating an aesthetically pleasing symmetry. 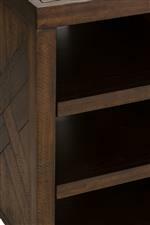 The Shadow Lake collection is a great option if you are looking for Contemporary furniture in the Memphis, Nashville, Jackson, Birmingham area. Browse other items in the Shadow Lake collection from Royal Furniture in the Memphis, Nashville, Jackson, Birmingham area.